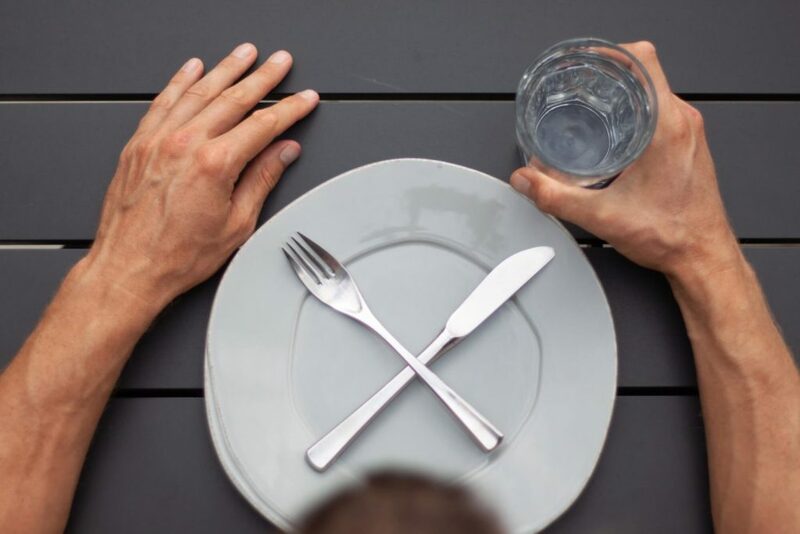 Breaking a fast is a lot like completing a project… it’s harder than you think. … and elevenses, and a little afternoon pick up, and desert, and a little biscuit before bed. We eat too much too constantly, and don’t give our bodies a chance to catch up. That’s the theory anyway. I’m only just reading about it (I’m always curious about how I can do life better), so I’m certainly no expert on it. Definitely don’t be taking health advice from me. Any fool can fast, but only a wise man can break a fast well. Anyway, I felt this was pointing to something interesting about the human condition. On the face of it, you’d think that fasting would be hard and breaking a fast would be easy. Denying yourself food is a challenge (believe me, I know). Giving yourself food… not so much. But the point they were making in this book is that to break a fast well, particularly after a long fast, you need to introduce food back into your system slowly. You need to start out with light, fresh things, and not eat too much. But to do that takes real discipline and focus. What happens for most people (=fools) is that as soon as they let their stomach off the leash again, they start gorging themselves on everything that’s not nailed down. To break a fast well, you need to maintain the discipline and fortitude you held through the fast, and continue it into the breaking period. I can totally see that this would be a hard thing to do. It’s exactly the same with a property project. I see a lot of people go hard in the execution phase – they’re disciplined and driven. But once the job is ‘done’, then they totally half-arse the completion and wrap-up phase. There’s a lot to do in wrap-up, if you’re going to do it properly. It’s not just about laughing at how much is in your on-line bank account, and jumping into the spa with a bottle of bubbly in both hands. You should be tidying up all the loose ends. Send a thank you note to your builder. Take your real estate agent out for lunch. Make sure that you find a really excellent tenant. And you should really do a post-mortem. What went well, what didn’t? What would you do differently next time? What would you rinse and repeat? And given what you know now, ideally, what does your next deal look like? Write it down. This is where the real learning is. This is where the growth is. But no. We’re so relieved to get to the end, that we just take the foot of the pedal, and cruise on through this important phase. … no matter how much money is now sitting in your bank account. Commit to it. Follow it through, all the way to the end. That’s what this wise-woman would do.